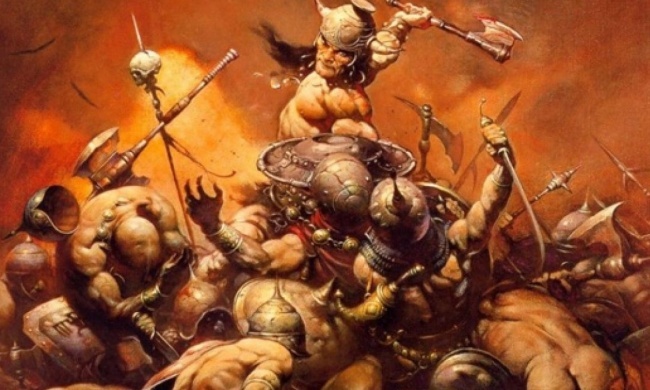 Amazon is developing the Robert E. Howard property Conan as a TV series, according to Deadline, with some high-powered talent behind the camera. It’s being created and written by Colony co-creator Ryan Condal, and directed by Miguel Sapochnik, who directed four episodes of Game of Thrones including the epic Battle of the Bastards episode. Executive producers include Condal, Sapochnik and Warren Littlefield (The Handmaid’s Tale, Fargo), along with Fredrik Malmberg and Mark Wheeler of Pathfinder Media. Malmberg’s Cabinent Media acquired Paradox Entertainment and the Howard properties in 2015 (see “Conan Ownership Changes Hands”). Universal shut down film development last year (see “End of April Geek Movie News Round-Up”), which cleared the way for the TV series. This is the second big fantasy literary property acquired by Amazon in recent months; it is also prepping a series based on Lord of the Rings (see “Geek TV News”). The property has been on the move recently; Marvel just announced that it will resume producing comics based on the property next year (see “Conan Returns to Marvel”).